On Saturday 17th June ten men will be ordained as transitional Deacons to serve the Ordinariate of Our Lady of Walsingham in the UK. The Ordination Mass will take place at St James, Spanish Place and the ordaining bishop will be George, Cardinal Pell, who will be assisted by Mgr Newton. The Mass, celebrated according to the Ordinariate’s distinctive liturgy Divine Worship, begins at 11:30am and all are welcome to this celebration. Cameron MacDonald and Simon Beveridge from Scotland, who will be assisting Fr Len Black with the Ordinariate in Scotland. More information can be found on the World Apostolate of Fatima website. A number of pilgrims associated with the Ordinariate, under the spiritual direction of Monsignor Keith Newton, Ordinary in the United Kingdom and Fr Warren Tanghe from the United States, recently returned from a wonderful visit to Portugal. The primary aim of our visit was to be present with the many other pilgrims from across the world who descended on the town of Fatima of the 12th and 13th May in order to accompany Pope Francis for a series of important events at the famous and very Holy Marian Shrine. The pilgrimage group was in Fatima for four days and we were able to fully embrace ourselves in the spiritual graces of the shrine. While the 12th and 13th of May are always very special days at the shrine of Fatima, this year as many people will know is a very special year – it is the centenary of the apparitions of Our Lady to the three young children to whom she appeared. Pope Francis lead the faithful in prayers and the rosary on Friday 12th and on Saturday 13th celebrated Holy Mass with a huge number of pilgrims, during which he declared Francisco Marto and Jacinta Marto to be saints. It was a truly wonderful and memorable experience for all those who were there. As well as our stay in Fatima the pilgrimage group were privileged to be able to spend time in other places including Lisbon and Porto. We visited many famous landmarks and celebrated mass in some wonderful churches including the church of St Anthony of Padua in Lisbon, the Jerónimos Monastery in Lisbon, the Church of the Holy Miracle in Samtarem, Porto Cathedral and the Church of St Lawrence in Porto. Here’s the latest news from Our Lady of Atonement in San Antonio. This is from their parish newsletter, via Facebook. So much has been happening with our transition into the Personal Ordinariate of the Chair of St. Peter! 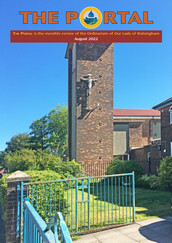 Of course, much of it is behind the scenes as our thirty four years as a parish of the archdiocese is translated into being the newest parish in the Ordinariate. Our new pastor, Fr. Mark Lewis, will be moving from Washington, D.C. with his wife Vickey, and we look forward to them taking up residence at the beginning of August. Fr. Moore continues his duties as parochial vicar, and will assist Fr. Lewis in the many pastoral duties in the parish. Fr. Phillips is our pastor emeritus and enters that state called “retirement.” He and JoAnn will continue living in their home by the church and school, and he will have additional duties throughout the wider Ordinariate, visiting and advising young communities and being available to his brother priests for anything they might need. The main doors of the church are once again completely accessible and the beautiful stamped concrete work is continuing. It will result in a large open piazza between the existing building and the new building, which will be an ideal space for parish activities – King’s Fair, parish barbeques, etc. There are plans for a beautiful fountain near the main church entrance, with more trees and seating where people can gather after Mass. Additional outdoor gathering places will be under the large balcony, and at various other areas along the sides of the piazza. There are five classrooms and the necessary restrooms ready for our Upper School students for the new academic year. The rest of the building is ready for finish-out as we need it (and as money is available!). The paving will be finished very soon, and we will have expanded parking areas, including a large section for parking behind the new building. It’s wonderful to have the Solemnity of the Ascension returned to its proper day on Thursday, the fortieth day after Easter, and it will allow us to keep the Novena to the Holy Ghost leading up to the Solemnity of Pentecost. Thursday, May 25th, is the Solemnity of the Ascension of Our Lord Jesus Christ into Heaven. Masses at 7 a.m., 9:15 a.m., 12 noon and 7:00 p.m. Please remember: it is a HOLY DAY OF OBLIGATION for members of the Ordinariate. Corpus Christi Catholic Community in Charleston, an Ordinariate community in South Carolina, has announced new developments, which will involve their pastor, Father Patrick Allen, taking over priestly responsibility for St. Mary of the Annunciation Church in downtown Charleston, taking the Ordinariate community with him and thus opening up a wide range of liturgical, outreach and other possibilities. I have important and exciting news to share with you regarding the life of our community! Effective July 1st, our home will once again be at St. Mary of the Annunciation Catholic Church in downtown Charleston. I – and all of us! – will be working together with new pastor of St. Mary’s, Fr Gregory West, in shared Catholic witness for the growth and mutual benefit in the Gospel of both communities. Fr. West is and will remain the pastor of St. Clare of Assisi Catholic Church on Daniel Island. St. Clare, which just celebrated the 3rd anniversary of its establishment, is already a large and rapidly growing parish meeting at Bishop England High School, and is soon to break ground on church buildings of its own. Fr West will continue to spend the bulk of his time at St. Clare, and I will be his parochial vicar and the primary priestly presence on a daily basis at St Mary’s. I’m very excited about and grateful for this new step in our life together. Fr. 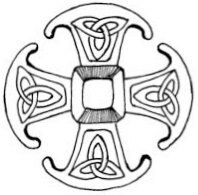 West has been encouraging to me and supportive of the Ordinariate project from the beginning, and he is eager to see us grow and fulfill our mission of inviting all, and especially our brothers and sisters in the Episcopal/Anglican churches and other Protestant communities, into the joy and peace of full communion with the Catholic Church, “that they all may be one” (Jn 17.21). This move will allow me to be less “scattered” in my duties and to give more of my attention, time, and energy to Corpus Christi. Both Bishop Lopes and Bishop Gugleilmone of the Diocese of Charleston are agreed that this arrangement will be a help to both communities and, please God, an excellent and empowering next step in our journey to self-supporting independence. This partnership will allow us to work together with St. Mary’s in Christian formation and programs for all ages, boost our music program, nurture common prayer, increase opportunities for Confession as well as Adoration of the Blessed Sacrament and other devotions, and grow new ministries in service to the Gospel. In September we will begin daily Masses (which have been suspended for some time at St. Mary’s due to lack of clergy), and two of those Masses each week will be in our Ordinariate form. Our Sunday Mass will be at 11.00AM, and we will begin a regular Sunday choral evensong with Benediction of the Blessed Sacrament. There are of course still details to be worked out, and no doubt there will be difficulties to overcome, and so I ask your prayers for me, for Fr. West, and also for the people of St Mary and St Clare as we take this new step together. I will continue to keep you informed – and ask for your help! – as the transition approaches. In the mean time, if you have any questions, please do let me know. Finally, though we will do so more formally at the appropriate time, please do join me in expressing our gratitude to Fr Miles and the people of Sacred Heart who have been so kind and generous in their hospitality.